Gertrude Caroline Ederle was an American competitive swimmer. 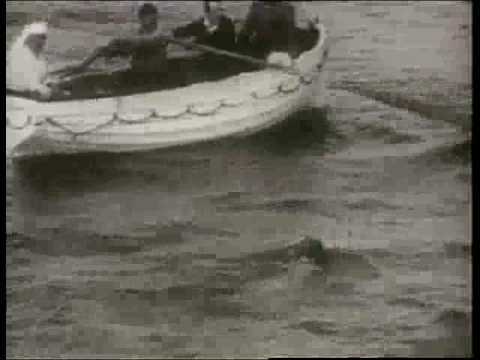 In 1926, she became the first woman to swim across the English Channel. In 1925, Ederle swam a 21-mile crossing across Lower New York Bay, from Manhattan to Sandy Hook, taking over seven hours. Later that year, the Women's Swimming Association sponsored her first attempt at swimming the Channel, but she was disqualified when her trainer, Jabez Wolffe, had another swimmer recover her from the water. Trudy bitterly disagreed with that decision. Her successful cross-channel swim began one year later at Cap Gris-Nez in France at 07:05 on the morning of August 6, 1926. 14 hours and 30 minutes later, she came ashore at Kingsdown, Kent, England. Her record stood until Florence Chadwick swam the channel in 1950 in 13 hours and 20 minutes. Gertrude possessed a contract from both the New York Daily News and Chicago Tribune when she attempted the Channel swim a second time. The money she received paid her expenses and provided her with a modest salary. It also gave her a bonus in exchange for exclusive rights to her personal story. The Journal News and the Chicago Tribune got the jump on every other newspaper in America. 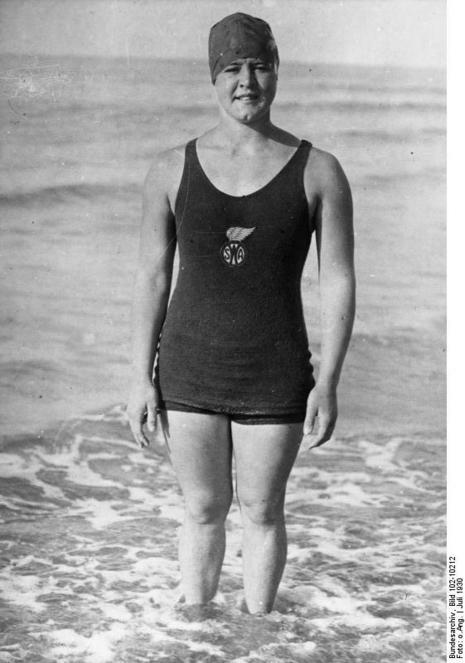 Another American swimmer in France in 1926 to try and swim the Channel was Lillian Cannon from Baltimore. She was also sponsored by a newspaper, the Baltimore Post, which tried to create a rivalry between her and Ederle in the weeks spent training off the French coast. In addition to Cannon, several other swimmers, including two other American women - Clarabelle Barrett and Mille Gade - were training in England with the goal of becoming the first woman to swim the Channel. Barrett and Cannon were unsuccessful but three weeks after Ederle's feat, Gade crossed in a time that was 50 minutes slower than Ederle. 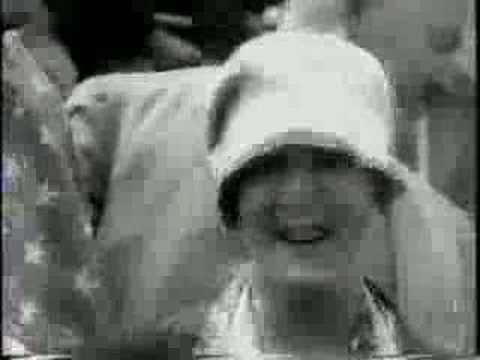 Gertrude Caroline Ederle (October 23, 1906 - November 30, 2003) became the first woman to swim the English Channel on August 6, 1926. Ederle began her famous swim at Cape Gris-Nez, France at 7:05 AM on the morning of August 6. Fourteen hours and 30 minutes later, she came ashore at Kingsdown, England. Her record stood for almost a quarter-century; Florence Chadwick swam the channel in 1950 in over 13 hours. Before her historic swim, she swam the 21 miles from Manhattan to Sandy Hook in over seven hours a year earlier. That same year, 1925, she made her first attempt at swimming the Channel, but was disqualified when a trainer grabbed Ederle after she began coughing. 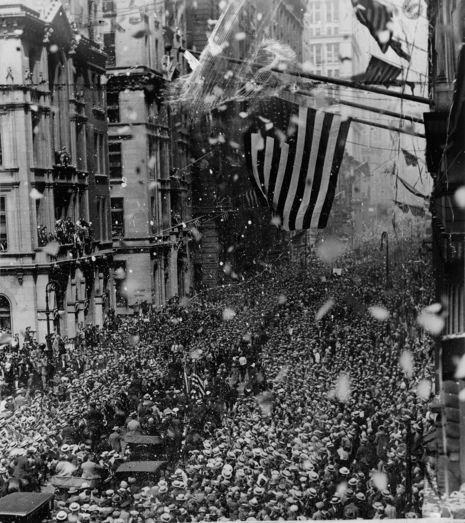 When Ederle returned to America, she was greeted with a ticker-tape parade in New York. She went on to play herself in a movie ("Swim, Girl, Swim") and tour the vaudeville circuit. She met President Coolidge and had a song and a dance step named for her. At the 1924 Summer Olympics, she won a gold medal as a part of US 400-meter freestyle relay team and bronze medals for finishing third in the 100-meter and 400-meter freestyle races. Ederle had poor hearing since childhood due to measles, and by the 1940s she was completely deaf. Ederle passed away on November 30, 2003 in Wyckoff, New Jersey at the age of 97.